Want to buy a home but don't know where to begin? Wishing to sell your current home but overwhelmed by the daunting process? These topics and more will be discussed in the Community First Blog, where you can find the latest information about the local real estate market. Hey Community First readers! Check out the latest article from the National Association of Realtors. According to latest studies, home sales are on the way up countrywide. this is a GREAT sign for our local market, as the Greater Greenville area tends to be above the industry average. Because of this increase, the real estate industry is shifting to more of a seller driven market. Home values are on the way up, so get your search started soon! The Community First family is here to make sure you get the most for your money. If you haven't checked out PowerSearch, don't delay! Come one, come all! 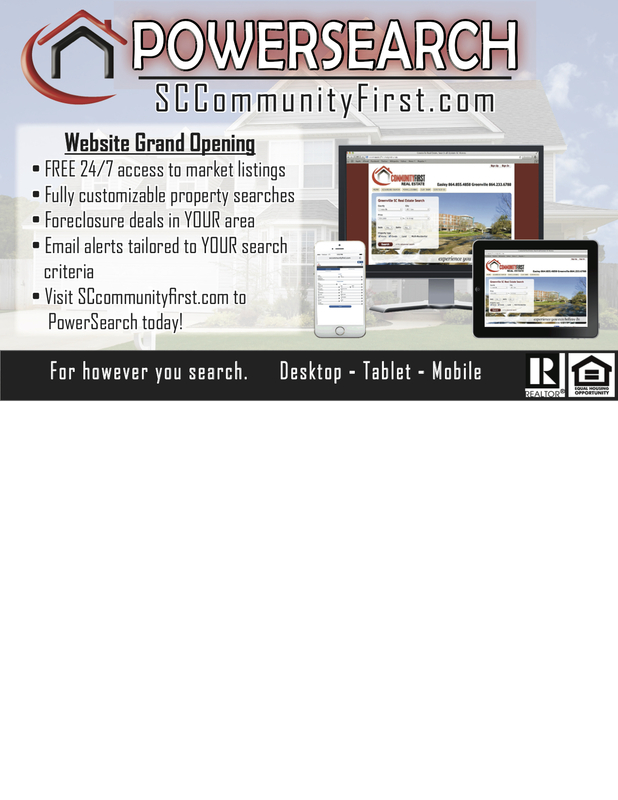 Community First's blog is up and running, bringing you the information you NEED to make an informed home buying or selling decision. Leave your realtor stereotypes behind and partner with the team that will provide genuine care for you, the client. Community First wants to bring you the information you want, so comment away with what topics you'd like to see covered! In the meantime, share this post on Facebook, Linkedin, or another social media site and then "Like" us on Facebook. You'll automatically receive a 10% OFF COUPON for Lowe's Home Improvement for FREE!